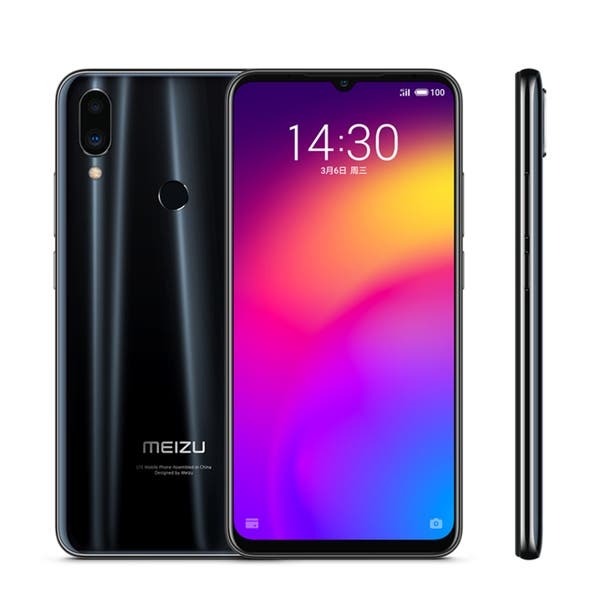 On March 6, Meizu released its new smartphone, Meizu Note 9, in Beijing. At the press conference, Meizu system engineer, Hong Hansheng, was quite excited that the Meizu Note 9 is equipped with Qualcomm’s latest Snapdragon 675 chip and it is one of the first Chinese manufacturers to use this chip. Hong Hansheng said that Meizu Note 9 performance rating on AnTuTu exceeds 180,000. 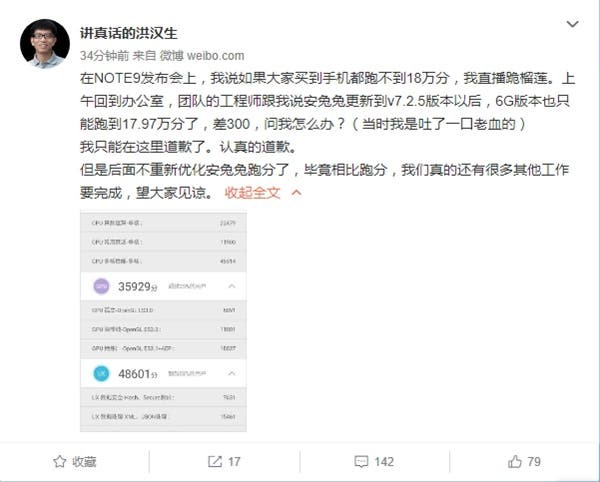 However, this afternoon, Hong Hansheng took to Weibo to give an explanation for a report that the Meizu Note 9 runs less than 180,000. 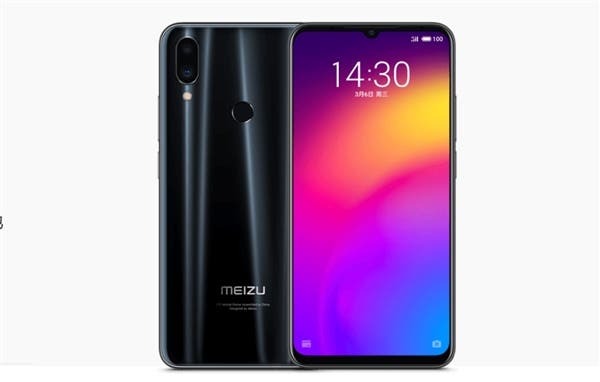 He said he was informed by the team’s engineers that after the AnTuTu application was upgraded to its new version v7.2.5, the 6GB RAM version of this smartphone got only 179,700 points. He said “I can only seriously apologize for this but you should know that we don’t re-optimize AnTuTu’s running points. I hope everyone will understand this”. This smartphone comes with a Hyper Gaming technology in addition to the Qualcomm Snapdragon 675 mobile platform, which focuses on optimizing the frame rate and power consumption during gaming. At present, the first sale of Meizu Note 9 sold out swiftly and the next round of sale is at 10 am on March 12. In terms of pricing, the 4GB+64GB version is priced at 1398 yuan ($208) while the 4GB+128GB/6GB+64GB versions sells for 1598 yuan ($238).